Reading groups represent a common practice both inside and outside the university, and in many cases provide an important space that breaches the divide. Nevertheless, there is relatively little critical reflection on the political significance of reading groups, their practical utility, and the challenges involved. This intervention emerged through an encounter between three UK-based academic-activists, sharing our experiences of “doing reading groups” in and around the university. Over the last few years, there has been something of a participatory turn in academic geography, with discussions about the potentials of “participatory action research” (Kindon et al. 2007), “militant research” (Shukaitis and Graeber 2007), and “engaging” (Wills 2014), amongst other approaches and themes, including co-production. Many of these discussions have explored the extent to which the university facilitates participatory encounters with non-academics, as well as hinders them. There have been calls to make political interventions both inside and outside the university (e.g. Autonomous Geographies Collective 2010), to make research useful to the practical needs of participants (e.g. Taylor 2014), and to re-imagine the university as a more radical and political space (e.g. Mason and Purcell 2014; Russell 2014). 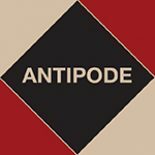 A recent Antipode intervention, the “Communifesto for Fuller Geographies”, outlined a strategy and tactics that are being used to build “creative resistance” in our professional practices and to “(re)engage with our personal and disciplinary insecurities”. We suggest that the practice of reading groups provides a concrete example of how to implement many of the aims of the Communifesto and, as such, calls for deeper and wider reflection. We are not particularly interested in defining what a reading group is or is not, but rather would like to open up a space for exploring the opportunities and challenges of “doing reading groups”. A recent survey of the Participatory Geographies Research Group (PyGyRG) asked members to tell us their stories of reading groups, with surprisingly few responses. We did, though, receive interesting accounts of the Brooklyn Urban Reading Group and reading groups integral to the Really Open University initiative in Leeds. From our three particular perspectives, this intervention is another step in opening up the discussion. Despite our inclination to “get on with it”, we must recognise that reading groups are not a recent invention, and have long been put to radical use inside and outside the university, turning discussion into practical action. Nor are we the first academics and geographers to engage with them critically. To take a few prominent examples, Bill Bunge’s geographical expeditions put academic readings to work in the context of disadvantaged neighbourhoods with the particular aim of making universities useful to the black community (Horvath 1971). Merrifield (1995) has pointed out that Bunge’s experiences in Detroit and Toronto contribute to a long and rich history of situating geographical knowledge in the local experiences of marginalised communities, blurring the boundaries between pedagogy and praxis (see also Heyman 2007). Community control was central to the ethos of the Detroit Geographical Expedition and Institute, which brought members of the community into university space as students (rather than academics holding benevolent classes in churches or school classrooms, say). Whilst it is important not to lose sight of the importance of non-written forms of critical learning and exchange, or the role of literature in co-opting these, for Paulo Freire and other critical pedagogues, reading is radical, a form of cultural politics and a revolutionary act of empowerment and emancipation (Freire and Macedo 1987). Framed within a wider understanding of pedagogy for empowerment, reading has been understood as a means for marginalised groups to challenge oppressive structures (Knupfer 2006; Knupfer and Woyshner 2008) and false consciousness (hooks 2003). More explicit reflections on the practices of reading groups include Hall’s (2003) analysis of the “Oprahfication” of literacy, noting how reading groups can reproduce particular power relations, in this case via Oprah Winfrey’s celebrity representation to her audience. Let us now review our own experiences. In 2008, the rise of the Transition Towns movement sparked an Aberystwyth initiative (see Mason and Whitehead 2012). One of the working groups was a reading group, initially formed to discuss Transition movement literature. At first, the group met out-of-hours in a local organic restaurant, the Treehouse, which functioned as a “green space” (see Horton 2006). In 2009, our first “out-reading” was a critique of the politics of the Transition movement (The Trapese Collective 2008). Thence, the group began more radical reading, memorably John Holloway’s (2002) “Twelve Theses on Changing the World Without Taking Power”. In 2010 and 2011, members of the group participated in occupations and teach-ins by students opposing hikes in tuition fees. By late 2011, however, the group was flagging with a scant handful of “regulars”. Inspired by Exeter Anarchist Reading Group, we called a meeting of all the local activists we could think of, resulting in an injection of some new life. “Marketing” ourselves via university channels attracted academic staff plus Masters and PhD students. One member set up a blog which extended our practices into writing and interaction with authors whose work we read. Arguably, the group became academic-heavy/activist-lite, though any distinction is vexed (see Askins 2013). To signal the extension of our focus beyond energy transition to any form of change, we added an “s” to Transition in the group’s name. For me, this signified a shift from the totalising ideology of the Transition movement to a more pluralistic approach to community politics and knowledge. It would be too lengthy to list everything we have read, but a poll of regulars reveals some favourites. We sustained an engagement with Michael Albert’s (2003) Parecon: Life After Capitalism, largely ignored by academia. Unsurprisingly given the group’s preponderance of human geographers, David Harvey and Andy Merrifield have proved popular, while Simon Springer’s (2014) “Why as Radical Geography Must Be Anarchist” was a favourite. The Kilburn Manifesto (Hall et al. 2013) stimulated an exchange with one author–Stuart Hall, now sadly deceased. We have read about the degrowth, maker, Low Impact Development, and climate justice movements, but oddly not Occupy. Listening to podcasts and watching films, we do not confine ourselves to written texts. Future activities mooted include reading fiction, discussing music, art and poetry, attending performances and exhibitions, and inviting speakers. Writing in 2014, the reading group is the only organised legacy of Aberystwyth’s Transition initiative. Evening meetings are in cafe-bars outside the university. Group identity remains defined by municipal transition: we are concerned with social change, our own lives, the place where we live and its relations with a wider world. As with other local activisms, our radical ambition is constrained by a lack of critical mass in a small rural town with a conservative university, neither offering much collective resistance to processes of neoliberal globalisation. As 2015 looms, the group seems to be entering a new phase, coalescing around more conventional academic format and content. Joining Exeter University’s Geography Department, I was fortunate to find an emerging cohort of academics and students who shared a desire to change the university from within. The Exeter Anarchist Reading Group (EARG) started as a trans-disciplinary reading group and soon decided that critical thought achieved little without radical praxis. Imbued with experiences of participating in social movements, particularly the Camp for Climate Action, the group started to evolve a less hierarchical, more creative and empowering structure based on critical pedagogy and consensus decision-making (see The Trapese Collective 2007). Sessions were open to all and advertised widely, and we exploited institutional rules that enabled students to book university rooms gratis. The aim was to facilitate critical discussions in which all voices would be heard and opinions respected. The typical meeting structure was a hybrid of reading group and seminar: a visiting or volunteer speaker would circulate a reading or series of texts, give a short introduction, address any clarifying questions, and open up group discussion. EARG attracted a diverse range of speakers, including established academics, students and non-academics, and regularly drew more than 30 participants, including staff and postgraduates from Exeter and other universities, community activists, and local sixth-form college students. Discussions were always lively and themes included: No Borders! ; Feminism and the Environment; Occupy; Queer Anarchism; and Mutual Aid. Non-academics presented sessions on Transition Towns and the pedagogies of Tagore and Freire. There were sessions combining theory and practical training, too (for example, conflict resolution). EARG had a blog with discussion board and also linked with local community radio station, Phonic FM, for “Ahead of the Curve”, where a reading group speaker discussed their paper/topic. Building on the reading group, we secured funding from the Arts and Humanities Research Council to organise a programme of events under the banner of “Re-Imagining Society Together: New Directions in Radical Thought and Practice”. A postgraduate training event was held in spring 2011 and a collective of students and non-students organised a conference, which adopted many elements from activist organizing. The event was free, took place in a community centre, included participatory workshops and spaces for children, art, film, and physical creativity (including a session led by a community choir). Workshops included community mapping, “resilience in socio-environmental transitions”, and “what does a border sound like?” (an art-activist workshop on migration). One panel discussion focused on transforming academia from within, including insights from Leeds’ Really Open University (see Pusey and Sealy-Huggins 2013). More than 200 academics, community activists, and curious passers-by participated on the day. Our aim was to show that other ways of doing academia are possible, happening, and creating more engaging and mutually productive spaces for critical thinking. The first reading group I involved myself in emerged from the University College London student occupation and our need to discuss the ideas underlying an intense moment of rupture in autumn 2010. Lacking an alternative, the Autonomous Reading Group (ARG) made use of students’ capacity to book meeting rooms in UCL (see also Cox 2011). Although university space is not always conducive to radical thought, there was something enjoyable about meeting within the institution to discuss the ways we were struggling against it and pushing beyond it. ARG interspersed meetings with street actions, generating spaces for the productive encounter of theory and practice. Together, we reflected on our praxis without the binary of teacher and taught, and without the intellectual performances that go with more academic spaces of learning. We didn’t know the answers to our questions (most of the time we didn’t even know what our questions were!) but we were committed to radical social change and recognised reflexivity as vital. On 15 October 2011, Occupy London manifested as part of a global movement. Because several members got involved, ARG began meeting in the St Paul’s protest camp. Perhaps signalling the end of one set of conversations, however, ARG fizzled out. But as 2011 ended, we felt the need to reflect on the ideas driving Occupy. This led to the creation of the Occupy Reading Group (ORG). Meeting in the School of Ideas, in a disused primary school, we read about Occupy, how the movement was being framed and how its/our ideas were interpreted (e.g. David Graeber’s  “Occupy Wall Street’s Anarchist Roots”, Chris Hedges’  “The Cancer in Occupy”, and Michael Hardt and Antonio Negri’s  Declaration). We quickly realised that many of those in ORG were researching Occupy. Indeed, working within the movement shifted the focus of my own PhD. In spring 2012, ORG re-formed as the Occupy Research Collective (ORC). A year previously I had been involved in a group determined to put theory into practice as we struggled on the streets and campuses to re-imagine education. Now, after taking these discussions out of the university into Occupy, ORC decided that research itself should be our priority, challenging conventional wisdoms on how to investigate the world. Inspired by the praxis on the street, ORC sought to Occupy the space of research itself. Considering research ethics, ORC focussed on those institutional(ised) academics apparently building careers on the back of Occupy without being a committed part of the movement. There was a flood of themed conferences and journal special editions (e.g. Social Movement Studies , The Sociological Quarterly , Communication and Critical/Cultural Studies , and Society and Space ). Yet, what were all these academics doing in practice? Many seemed detached, appropriating Occupy’s praxis to further individual advancement within the system that the movement challenged. ORC made this an opportunity to “Occupy” the research community. In early summer 2012, we called a convergence, again using UCL’s space. We invited not only academics but also NGOs, community workers, and activist researchers, and posed challenging questions to those researching Occupy (see ORC 2012). By the end of summer 2012, both Occupy and ORC were running out of steam and another cycle of my reading group history concluded. As a new academic year began, I came full circle as we started two new radical reading groups. This time we chose to read classic texts in a more traditional way. One group read volume one of Marx’s (1990) Capital; the other Lefebvre’s (1991) The Production of Space. Again, we booked rooms at UCL, though the group was open and attracted activists, artists, and therapists from beyond the academy. A year on, one of these readings groups is reforming itself as activism and intends to embark upon a radical journey of mapping and participating in the different “cracks” that permeate our everyday lives (see Holloway 2010). Thus, the cycle of reading and doing continues. Our experiences illustrate the potential for radical reading groups as alternatives that subvert institutions, particularly universities, create alternatives and resist recuperation. In our examples, reading groups do not (yet) seem prone to institutionalisation by the neoliberal university. Academics in Aberystwyth Transitions Reading Group have discussed trading on reading group participation for career gain and decided that it currently falls beneath the radar of the neoliberalising university (see also Mason and Purcell 2014). In our research, we have physically and emotionally engaged in praxis, fully experiencing these alternative pedagogies within social movements. Although all our groups have sought to be inclusive, in some instances the choice of text has deterred potential members, being too activist and tactical for academics, for instance, or too engorged by theoretical jargon for non-academics (see also Horvath, 1971; Mason et al. 2013). We note the example of EARG employing a facilitated mixing of the seminar and reading group formats as a potential way to approach texts which may otherwise be social events that exclude. On a more basic level, choice of venue can deter participation; for example, a pub/bar/café being too expensive for some or too insalubrious for others. Being part of a group that mixed together radical thought and stories of radical action and contemplation on the efficacy of different kinds of radical action was, without exaggeration, profoundly transformative. For me it broke down some of the barriers I saw between myself and “activist types” who I felt were special people able to put themselves at risk to defend causes, and for which I had respect but saw myself as different from. Often I found the meetings uncomfortable in that I felt sort of ashamed about my lack of fire and protest, but that unsettling feeling was something I sought, appreciated, and developed through … I felt very challenged by the group, in a good way. It was a supportive and encouraging but critical space in which to develop ideas, and I think the mixing of academic and non-academic was profoundly important. We note that further geographical research into the relationship between passionate radicalism and enduring commitment is needed. Moreover, our experiences suggests that the pedagogy of radical reading groups demands a particularist approach that is at loggerheads with contemporary academia’s ethic of universalism (cf. Horvath 1971). Beyond noting that some of our cases have involved internet platforms, we have not explored the potential of making public and networking radical reading groups. This too requires further research, not least to counter any tendency to “conservative localism” and constructing epistemic borders (Robertson 2014). We would like to thank participants in the reading groups in which we have engaged, particularly the people who responded to this intervention, and the respondents to the informal PyGyRG survey, as well as Antipode for feedback that encouraged us to reflect more contextually on our experiences, hopefully to the benefit of this piece. An interesting collection of reflections on academic reading groups has been published that may be of interest to the members of the HEAT reading group. ‘There is,’ the article points out, ‘relatively little critical reflection on the political significance of reading groups, their practical utility, and the challenges involved.’ Yet they can provide the opportunity to ‘build “creative resistance” in our professional practices’ and ‘(re)engage with our personal and disciplinary insecurities”. For this reason, they might also be understood as providing alternative models of learning, connecting to a ‘wider understanding of pedagogy for empowerment’. Anyone interested in responding to this discussion or reflecting on what works or what could be improved about our own reading group is warmly encouraged to comment at the bottom of this post. This entry was posted on 12 February 2015 by Antipode Editorial Office in Interventions and tagged anarchist geographies, co-production, critical pedagogy, geographical expeditions, militant research, neoliberal universities, occupy, participation, participatory action research, participatory geography, public engagement, public geographies, reading groups, scholar-activism, the university, Transition.